For us it is of utmost importance to support research initiatives that impact the community which we serve. That is why we have developed alliances with governmental offices and community-based organizations to support activities aim to increase public education on the prevention of important diseases for our communities, and to develop research initiatives based on structured assessments of community needs through participatory methods. Below you will find information about the Endowed Health Services Research Center’s (EHSRC) community projects. 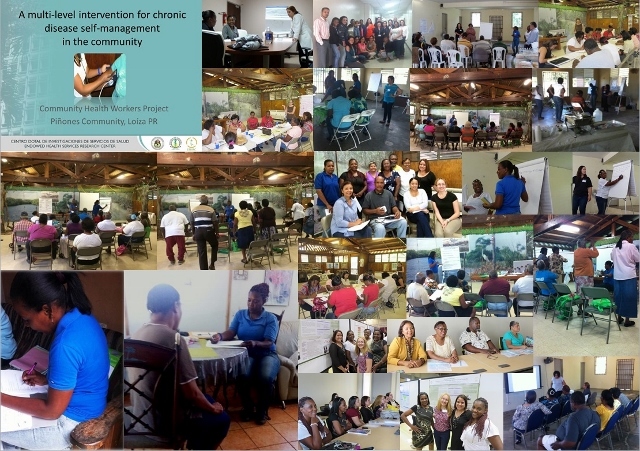 Since 2009, we engage in the project Salud para Piñones, a community-academic partnership based on the principles of Community Based Participatory Research (CBPR). 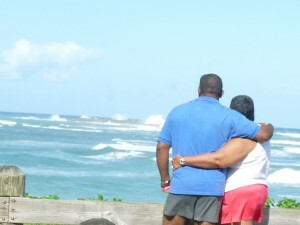 Piñones is a sector of Loíza, located at the northeast side of Puerto Rico, and predominantly inhabited by black-Hispanics. There are approximately 3,000 persons living in Piñones with a median age of 27.5 years; 35.8% of the population is <18 years of age. Less than half of residents >25 years of age (43.9%) have a high school education (diploma or graduate equivalent degree), and 33% have less than a 9th-grade education. The community has high unemployment and poverty rates, with 69% of inhabitants having an income under the 200% Federal Poverty Level, and 30% being unemployed. A steering committee consisting of Piñones’ community members and researchers from the University of Puerto Rico-School of Medicine (UPR-SoM) was established after the community petitioned the UPR-SoM for assistance in how to define the processes needed to better understand and address health disparities in the community. We developed an action plan with a three-phased approach: 1) partnership development; 2) health needs assessment, and 3) identification of community priorities, to develop a research and service agenda. Using mixed methods approach, a community-wide needs assessment was conducted. Outcomes indicated a high prevalence of chronic diseases, with 70% of the adult participants having at least one chronic condition including hypertension, diabetes and asthma. Barriers identified for disease self-management included limited access to health education, lack of support for medical care, and limited use of preventive services. The support of family and neighbors was identified as one of the most important strengths in this community. After discussing those results, the community members recommended the development of interventions based on community participation, using local resources, and addressing the support of patients in their disease management. From this platform, we developed a pilot study to test the feasibility and acceptability of implementing a chronic disease self-management program, delivered trough CHWs in this community. This pilot study proposed the development of a culturally sensitive, multi-level intervention to increase the patient’s knowledge of the disease, self-efficacy, and self-management practices of his or her conditions, based on CBPR principles, and to evaluate the acceptability and feasibility of implementing the intervention. The study was founded in an established partnership with a low-income, black-Hispanic community, with an inadequate access to preventive health care services and with a high prevalence of chronic diseases. In the study, strategies based on community participation were used to develop an intervention in which a group of community health workers (CHWs) help other community members to increase their knowledge and skills required for the appropriate management of their diseases, including self-monitoring, use of health care services, medication use, and risk behaviors.This pilot study provided preliminary data for the development of other studies to improve chronic disease management in low-income, Hispanic populations. 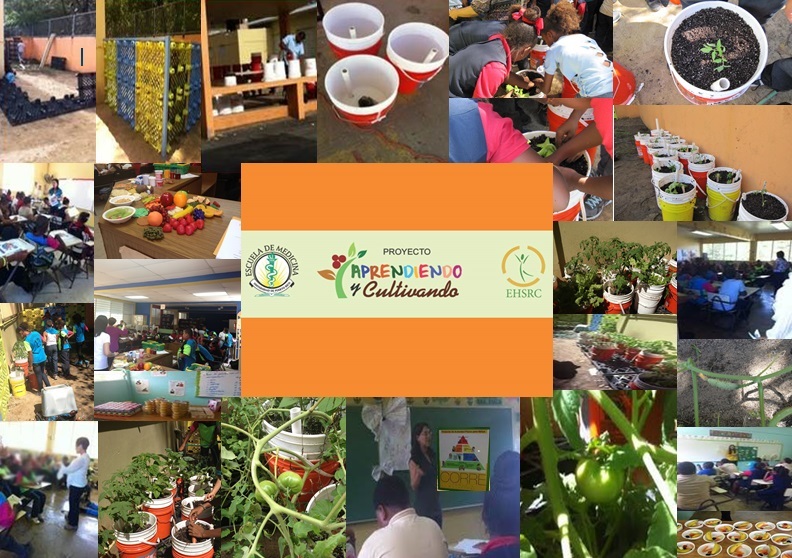 This pilot study aimed to evaluate the impact of an enhanced school garden-based intervention in the knowledge, attitudes and practices related to fruit and vegetable consumption of students from the 4th to the 6th grade, of a low-income Hispanic community. The intervention was divided in three stages. In the first stage a working group was established to structure the project’s activities using evidence-based interventions. Also, operational aspects of the garden development were coordinated in this first stage. For the second stage the 12-week intervention was implemented. And for the third stage the final project evaluation was made.